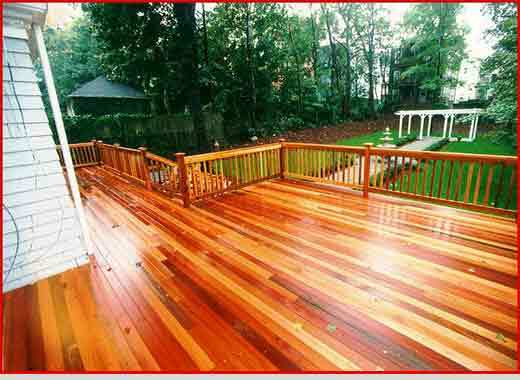 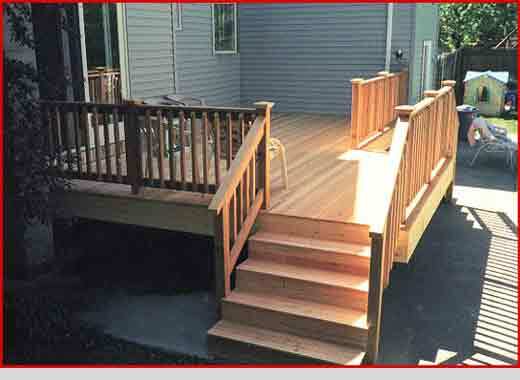 Deck constructed in Jamaica Plain, added a 6' French door from Dining Room to new Cedar and Fir Deck. 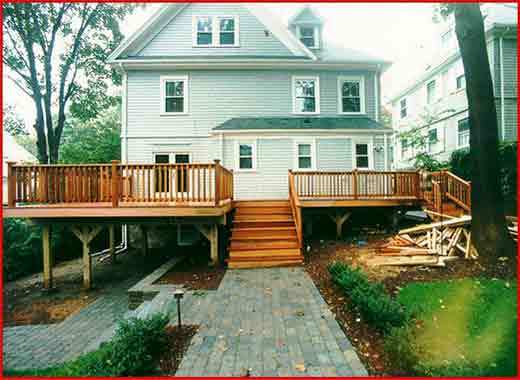 Deck constructed in Jamaica Plain, added a 6' French door from Dining Room to new Cedar and Fir Deck. 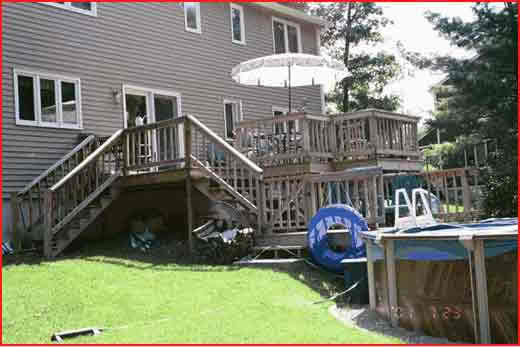 View from new deck overlooking complete landscape makeover. 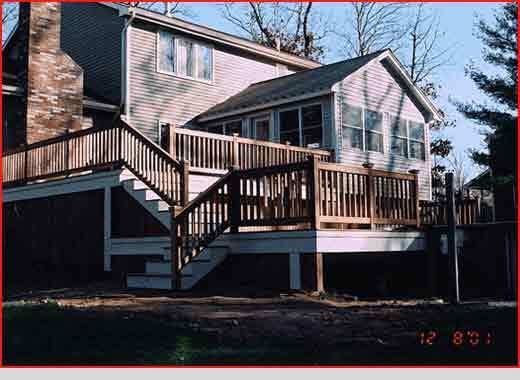 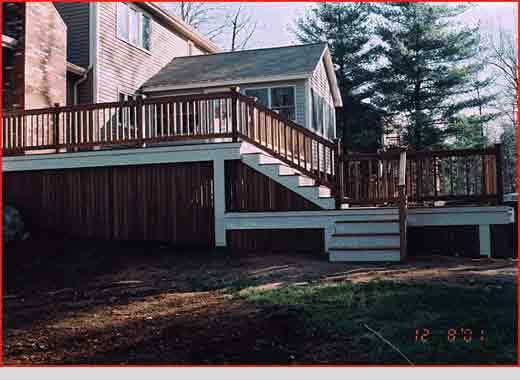 New room addition with multi level custom Cedar and Mahogany deck constructed in Mansfield. 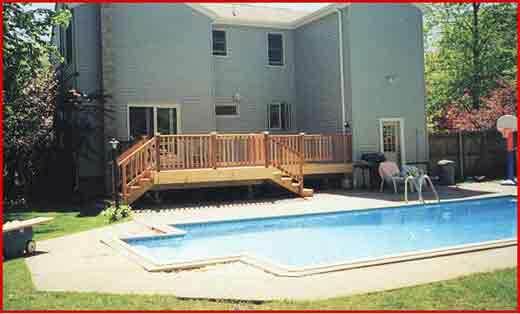 Lower deck wraps around above ground pool. 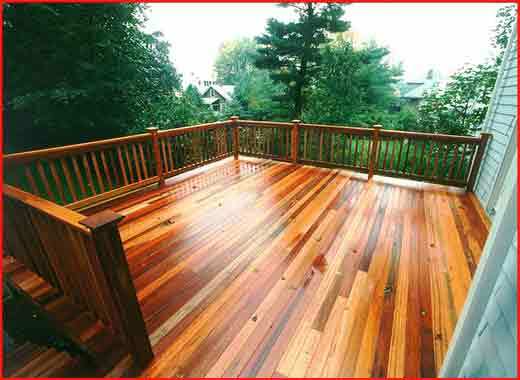 Cedar and Fir deck added in Burlington, also added a 6' Anderson Frenchwood slider to access new deck. 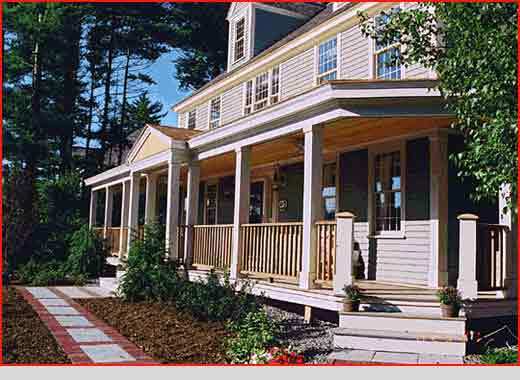 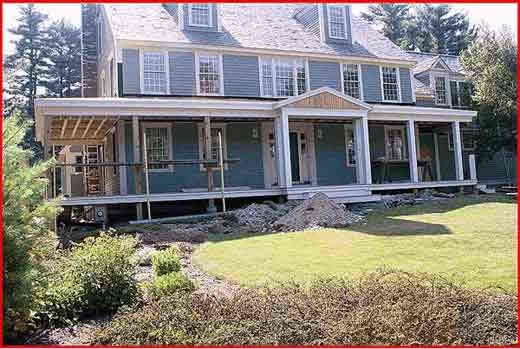 Wrap around Farmers Porch under construction to residence in South Easton. 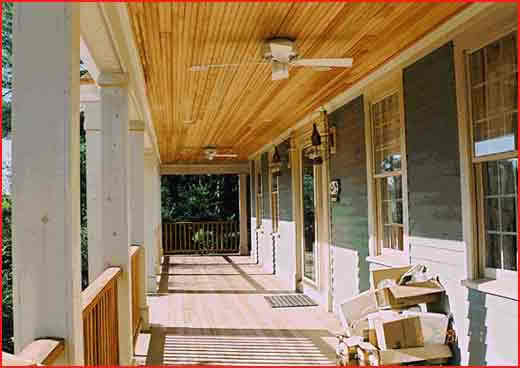 Recessed lighting and ceiling fans were added to the Farmers Porch. 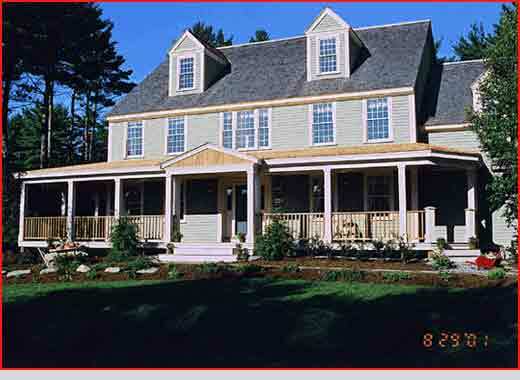 Wrap around Farmers Porch constructed to home in South Easton.